We witness contracts everyday. Usually, when we think of contracts we think of long, detailed agreements made between two parties. However, a contract is sometimes as simple as the receipt you get from a store when you buy groceries. 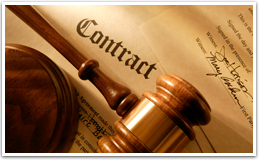 Contract law is a very complex area and Craig Seldin is an attorney who knows all the necessary details. Offer: An offer is a proposal to another party that contains specific terms and remains open until the other party makes a decision or presents a counter-offer. Acceptance: The offered party must formally accept an offer for it to remain valid. This may require them to fulfill certain obligations in accordance with the original terms. Consideration: Consideration is simply the bargained exchange both parties recognize in their agreement. For example, one party pays for an item while the other views it as a legal exchange for the product. Without these give-and-take considerations, the agreement would not form a contract. Aside from the steps listed above, there are other elements that are required to form a valid binding contract. As an informed party attorney Craig Seldin often looks at competence of contract law when approaching relevant cases. CompetenceIf an involved party agrees to a contract and is not legally competent, they are not necessarily required to fulfill their obligations. For those under the 18, there are certain instances where they can rescind or void their contracts. If a person is mentally disabled or not of sound mind, their contract may also face invalidation, especially if they are not aware of the consequences and terms of an agreement. LegalityAs noted before, a contract has to meet the confines of American law. If the contract has any basis in illegal activity – it is unenforceable. ConsentConsent does not mean a party knows exactly what they are agreeing to. However, if you click an “agree” button on an online terms and conditions agreement, you’re still giving consent. The same thing applies to any signature you may have given for a rental or service agreement. Many areas of contract law are debatable and Craig Seldin is prepared to take on these issues if a client faces them. Whether you are trying to protect your rights as identified by a contract or feel that a contract is unenforceable, Attorney Craig Seldin is open to reviewing your case. The Law Offices of Craig Seldin, PLLC are fully capable of assessing any contract law issues you may have, as well as a variety of other practice areas.